Right now, people are searching on Google for services that your organization can provide. Are they finding you? 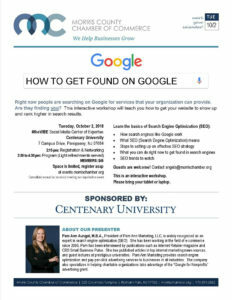 This interactive workshop will teach you how to get your website to show up and rank higher in search results. This is an interactive workshop. Please bring your tablet or laptop.